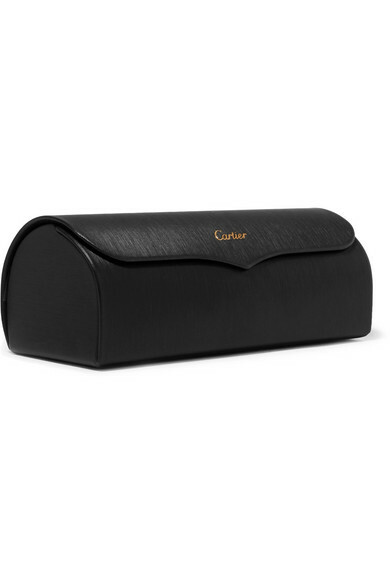 Cartier Eyewear's sunglasses pay homage to the house's iconic 'Panthère' range and are accented with two felines at the temples. 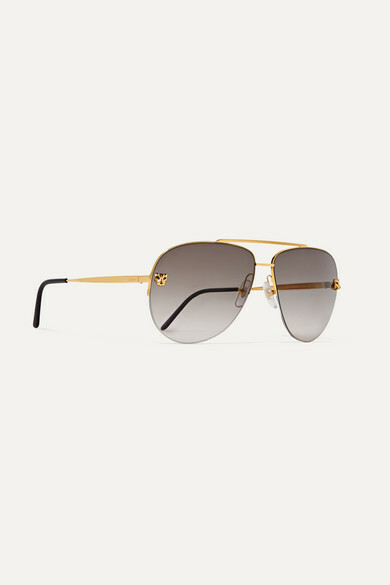 Expertly made in France, this gold-tone pair has classic aviator-style frames that are flattering on most face shapes. 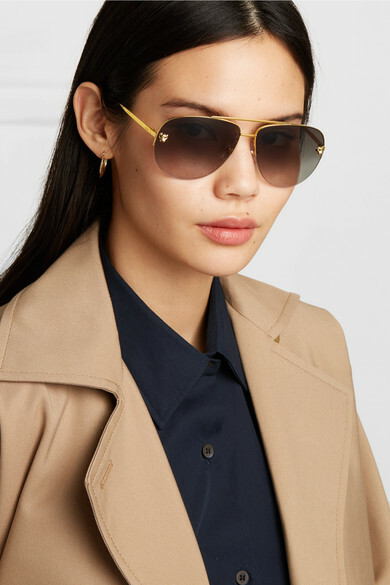 Shown here with: Totême Trench coat, Dries Van Noten Shirt, Loren Stewart Earrings.